Not Muslim enough - sister-hood magazine. A Fuuse production by Deeyah Khan. I get frustrated when I read narratives about Muslim women. I also get confused because these narratives often lack the voices of women who were raised in Muslim communities outside the Middle East. It may sound petty, but I barely hear any voices from other communities. Sometimes, when reading articles by women of Muslim heritage, I think to myself: ‘She doesn’t speak for me. She doesn’t understand my own struggle in my own community here’. I was raised in an Indonesian Muslim family, with a Javanese upbringing. My parents taught me the mainstream Islamic practices: praying five times a day, fasting, charity, performing hajj and so on. It became part of my daily ritual but we also mixed Islamic rituals with Javanese mysticism. This syncretism has been going on for hundreds of years: Javanese philosophy accentuates our understanding of Islam, and vice versa. As I grew older, my beliefs shifted towards a more complex form of Javanese philosophy known as kejawen. Kejawen is a synergy of universal beliefs drawn from Animism, Hinduism, Buddhism and Islam. Since it is a mixture of beliefs, kejawen has adapted the process of enlightenment from both Buddhism and Islam. Both teach us how to face those difficulties that agitate a person into sorrow. There is no compulsion within kejawen. Islam, which means surrender or submission, as practiced by Muhammad (pbuh) tells us to counter the anger, sadness and greed that we face through praying, fasting and charity. This is the similar to the teachings of Gautama the Buddha. Siddhartha Gautama taught us how to meditate with our breath and our mental focus, and to disregard the sensations (mostly negative) that arise in our mind, body and soul during meditation. I began to understand this process through Javanese dancing, where the moves can produce certain uncomfortable feelings and sensations. Nevertheless, I had to keep in motion in order to reflect a beautiful flow of movement that had been taught through generations. We surrender to the motion, no matter how painful it is. 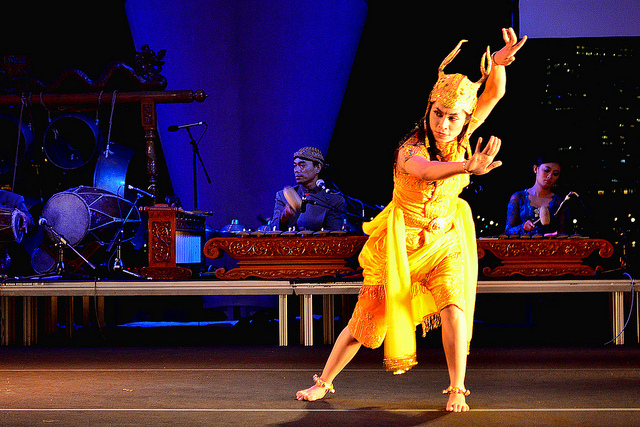 I finally understood the meaning of surrender and submission in Islam through Javanese dancing. I soon found a lot of readings of Javanese philosophy in line with this meaning of submission. Here, submission is a very powerful tool to understand and take control of oneself. The process of submission should not be misunderstood as being submissive. In submission, there can also be an effort to change those things that draw us into sorrow. What scares me most is that whenever I speak out about reclaiming more of my Javanese identity whilst also speaking out about the oppression that I went through in Muslim communities, I get attacked from all sides. Muslim conservatives call me an ‘infidel’ for mixing culture and religion, and not following the strict religious rules. Their counterparts call me a ‘fascist’, for ‘glorifying’ Javanese culture, and they blame me for causing Islamophobia. It seems there is no space for a woman to find what’s right for her and what fits her. Women are subjected to misogyny even if all they wish to do is express their spirituality on their own terms. No matter how progressive and revolutionary certain political stances seem to be on the surface, few accept a woman speaking for herself. To this day, the narratives around Muslim women have only been focused on immigrants (mostly Middle Eastern, North African and South Asian) in Western countries. If we keep on allowing this to be the only visible face of Muslim women, we will lose an understanding of the diversity of Muslim Women in countries outside the Middle Eastern community, who may face oppression within their own communities, such as shaming those women who don’t wear the hijab, the policing of women’s bodies and the restriction upon women’s roles. So where is the solidarity for your sisters in other parts of the world? Why do we feel like we are fighting the oppression alone, while we have been rooting for you from here all along? If you really want to fight oppression, then that comes from both ways. Shouldn’t you also be reaching out and giving the space for your sisters to speak out? Maybe to many Muslims, I am not Muslim enough because I don’t diligently follow the rituals, but is that enough of an excuse to dismiss the diversity of Muslim women across the world? 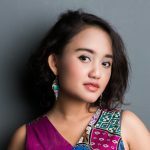 A Javanese Feminist beating all odds to find her true love, life and passion.